An interesting chart published today by BusinessInsider reveals that mobile developers, or at least the 401 surveyed, more often have experience developing for Android than any other mobile operating system, including iOS. Given Android’s growing market share, it seems only natural that developers are flocking to the increasingly attractive (and large) customer base Android devices provide. While Android’s lead over iOS in this regard isn’t massive, it certainly isn’t insignificant either. 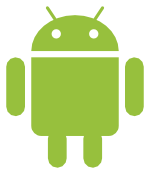 Nearly 60% of developers have experience developing on Android, while the number for iOS hovers around 50%. Meanwhile, Blackberry and Windows Mobile sit even lower at about 40%. While Apple’s App Store certainly offers developers greater upfront financial incentive in selling their applications, apps supported by Google Ads are clearly just as, if not even more, lucrative. What do you think, is the Google’s open-source approach to app development going to keep the share growing, or has iOS4’s SDK not had enough time to permeate all mobile developers? Let us know your thoughts below!